There have been many home phone solutions I’ve encountered since first writing this guide to replace your landline. I figured it was time to update the information for those looking to save a little money on their phone service. Typically, cable providers bundle home phone service into a “Triple Play” package with internet and cable TV service. You’ve read the guide on watching TV without cable, but have questions on what home phone service options are out there other than through a cable provider. Some may not be looking to “cut the cord” on cable, but want the most affordable home phone plans they can buy. 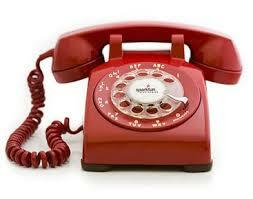 Thankfully, there are easily available home phone options to replace your existing landline. I’ll let you know about a few services that allows you to use your existing internet access to act as a phone, and which one I recommend. I’ll also cover how you can eliminate the cost of a home phone altogether by using your existing smartphone service. Whether you want to cut the cable cord or just save some money on your monthly cable bill, these inexpensive landline alternatives are something to consider. For those that require a home phone, there are numerous companies that offer home phone service through your existing internet connection. I find the most affordable and reliable to be PhonePower (formerly BroadVoice.) Upon signing up for PhonePower, they will ship you an adapter that plugs into your home router. Next, you simply plug your home phone’s base station into the adapter and you can make calls using your internet connection. PhonePower also includes an iPhone and Android Phone app so you can use your mobile phone or tablet to make calls when connected to your Wi-Fi network. This means those will just a data plan for their tablets can make calls using PhonePower. PhonePower users can make unlimited calls to the U.S, Canada, and Puerto Rico. The service includes everything you have come to expect from home phone service like voicemail, call waiting, conference calling, 911 and more. Even obscure phone functions like *69 and call blocking are available. The most impressive are phone cloning, which allows another phone to dial out and receive calls when someone is on the line. It’s almost like having a second line. While the advertised price is around $9.00 per month, there are other fees that you need to pay. These fees also exist with traditional phone service and are used to cover emergency service, regulatory fees, and taxes. Yearly service works out to cost $162.17. That’s about $13.50 per month or half the cost of traditional phone service. This plan comes with 60 minutes of free international calling per month outside the U.S. and Canada as well. However, PhonePower does offer an unlimited international calling plan. Using PhonePower feels no different than traditional Home Phone service. You can even keep your existing phone number. The only difference you will notice is the cheaper monthly bill. You can sign up for PhonePower using my affiliate link above. This supports Grounded Reason as PhonePower pays a commission to this site when a user makes a purchase. Since my reader’s trust is extremely important to me, I only enter into partnerships with products I’ve used and believe in. So if you are not happy with PhonePower please let me know. Also be aware they offer a 30-day money back guarantee if you are not satisfied with their product. The cheapest solution and the one that my wife and I use is to use your existing cell phones. My wife and I both have cell phones, so we just stopped giving out our home phone number. We currently treat my wife’s phone as the home phone and provide her cell number when a home phone number is required. You can even have the “disconnect message” on your old phone number provide your cell number. This may not be ideal for everyone. If you have less than dependable service in your home, then you will need to examine other options. Babysitters can be another issue when using a cell as a home phone. We have 2 young children so this is an issue we face. While the average babysitter will have a cell phone, you can’t always assume they will. It can also be awkward asking your babysitter if he or she has a full charge on their phone, otherwise, they will have no way of communicating with the outside world otherwise. If you have a sitter that you can trust to always have a fully charged phone, then this isn’t a problem. However, if this isn’t the case, here are some easy ways to remedy this. Leave one cell at home – Often, couples will have 2 phones; just leave one for the sitter to use. I understand not everyone will be comfortable with this, but it is a viable option. FaceTime – We have an iPad that is WiFi only and doesn’t have a data or phone plan. However, with FaceTime, we can use it to make an audio call through the internet to either my or my wife’s iPhone. We simply leave the iPad with the sitter and show them how to make the call. You can test this out by turning off the WiFi on your phone and firing up FaceTime on your iPad right now. If you aren’t an Apple user and prefer Android, this is a great article on making free phone calls online which may replicate this solution. Pay as you go phone – “Burner” phones aren’t just used when a drug deal goes south on TV shows like “Breaking Bad.” They can also be used by your babysitter while you and your significant other catch dinner and a movie. Generally, major cell companies offer a “pay as you go” plan. For instance, for $3 a month, T-Mobile will let you keep a number from month to month. When you require minutes, just load them as needed. Text over email – I don’t recommend this as it’s not a practical way of communicating, but if you are comfortable letting the sitter use your computer they can communicate via E-mail and text. Register an email address just for sitter use and show them how to send text messages via email by using this tutorial. This will require monitoring email to capture any incoming communication, but this technique can be used if you don’t want to leave a phone, or carry an extra phone. I recommend either PhonePower or simply using your existing cell phone to replace your home phone service. However, if those options do not meet your needs, here are some other alternatives. Skype is a great alternative to your cable provider’s home phone service, but I wouldn’t call it a full replacement. Skype will not provide features like 911 calls. Similar to PhonePower, Skype manages communication through the internet. However, it is unlike PhonePower as Skype is designed to be used with a smartphone or computer. If you are using Skype to replace your landline, you most likely will not want to only use your computer for phone calls. In this case, you would need to buy a Windows Phone. For this reason, I feel PhonePower is a more seamless replacement to traditional phone service. Skype plans start at $2.99 a month for unlimited U.S. calling and even allow unlimited worldwide calling for less than $150 for the entire year. Those rates are impossible to beat with a traditional telephone service. Skype is simple to install and set up. You can choose your own phone number for incoming calls, but may not be able to keep your existing one. You can install the Skype app on your smartphone and have the number ring your smartphone as well as your home phone. Voice mail is easy to set up and use. Although, it does require you to log into your Skype account to manage the messages. Magic Jack is another other product to replace your home phone with Voice over IP technology. While it’s extremely affordable and meets all the needs of a traditional home phone, I’ve heard some mixed reviews. While some swear by it, others have complained of dropped calls and poor support. magicJack is a device you can purchase for about $40. Simply plug the device into your router and connect a telephone or phone base station to magicJack. The initial purchase of the device includes 12 months of phone service. After the first 12 months, you pay $35 a year to continue the service. Voice mail, caller ID, call waiting, and 411 are included. magicJack also offers the magicJack app which will allow you to use your cell phone or tablet to make phone calls over wi-fi or 4G. This means you can use this app to avoid burning minutes on your cell phone’s voice calling plan. The app is free whether you own a magicJack device or not. If interested in trying magicJack, you can purchase magicJac from Amazon. Doing so supports Grounded Reason as Amazon pays a small commission to this site when purchasing via an Amazon link on Grounded Reason. Vonage has been in the VOIP business awhile and provides a pretty good service. It matches PhonePower in most regards. However, Vonage tends to have fees associated with the service that brings up the total cost of the product. This can initially surprise customers that didn’t investigate those fees. PhonePower wind’s up costing a little less in the long run, which is why I recommend it. If you want to give Vonage a try you can sign up here. Lingo is similar to PhonePower in almost every way. In fact, I’m hard-pressed to find functionality that differentiates one from the other. I recommend PhonePower as Lingo is slightly more expensive. If you try PhonePower and aren’t satisfied with the quality of service, then Lingo is your next best option. It cost a little more, but may better suit your needs. You can sign up for Lingo here. Whether you use your existing cell phone, Skype or other voice over IP solution, replacing your home phone is extremely simple. It’s too simple and affordable to hinder you from finally dropping your cable subscription and saving money.